There are more police officers than I’ve ever seen driving up and down Pulaski Rd on the Southwest Side where I grew up. The blue and white cars seem to be buzzing with new purpose, with anger. There is something terrifying in the air, tense like the muscles of a hand flexing. I watch the squad cars go by, wondering who it is they’re looking for. My instinct tells me it’s anyone. The target doesn’t matter. Power must be exercised. This is the stretch of road where Laquan McDonald was brutally murdered. 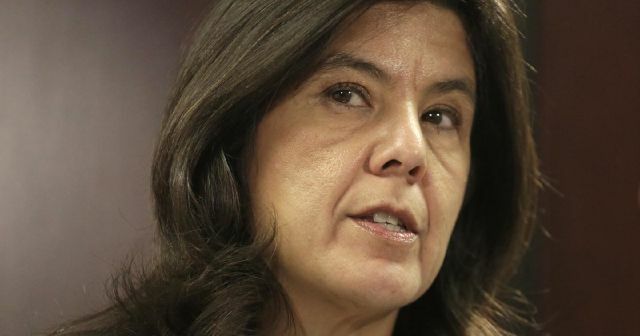 After 400 days and a court order to release the horrifying video, State’s Attorney Anita Alvarez finally pressed murder charges against cop Jason Van Dyke. Long enough after the fact to ensure that the city’s outrage would not interfere with Rahm Emanuel’s re-election. There are three high schools just off Pulaski Rd between the turn off I-55 where McDonald was shot and the city limits to the south. The kids spill out of these schools laughing, loud, goofing around – happy. And I hope they make it home that way. Impunity: Alvarez pressed no charges against the other five officers at the scene who lied to cover up the murder. I wonder which of those officers are now riding in the squad cars that cut through the neighborhood, electrified with the threat of retaliation. And yet, the corruption of Chicago politics has come to rely on the idea that we will vote for those who like like us. No matter how much they may persecute us or the children in our community, it is expected that Latinos will continue to vote for people like Alvarez because they are “our own” and we will be content to sacrifice others for the illusion that she represents us. She certainly looks like us. What immigrant parent wouldn’t be proud of a child who has attained the kind of power Alvarez has in the Cook County State’s Attorney’s office? When they see her on TV, I wonder how many Latino immigrants, facing the demoralizing rhetoric of Trump et al. could be convinced that Alvarez might be good for them, when she is just another Brown politician like Rubio or Cruz, angling for advantage in a white supremacist system. She is counting on the white suburban and Latino vote to win re-election, to continue to get away with what she has done to our communities. Seeming to make a habit of timing prosecutions to electoral advantage, she recently filed charges against the killer of Tyshawn Lee just in time for election day, releasing all sorts of horrifyingly lurid details. Lee deserves justice and it makes me wonder how long Alvarez waited to file charges this time, trying to get good press before the elections, hoping to overshadow her conduct in the McDonald case. If Alvarez is elected, it would mean a continuation of her tactics of criminalizing and treating Chicago’s Black and Brown youth like monsters. A continuation of her policy of looking away when cops brutalize communities or filing inadequate charges as in the Rekia Boyd case. Of tricking young men into signing their life away in what she has transformed into the false confession capital. Many of you already knows this and plan to vote against Alvarez. Tell your friends, tell your family. Get out there. Presidential elections tend to overshadow local ones, but it is the local candidates who have the most direct effect on our day to day lives. All of the shootings of unarmed Black men and women around the country? Voting Alvarez out is our opportunity to do something about it. In a city that counts on Latinos voting for Latino candidates, I also want to reach out to those who believe in business as usual and DO plan on voting for Alvarez. DO BETTER. Black Lives Matter Chicago and Assata’s Daughters came out in full force against both Trump and Alvarez and helped shut down the Trump Rally this past Friday. Because Alvarez is relying on the Latino vote, on election day Chicago needs the Latinos against Alvarez to come out for what’s right. The other candidates: There is Kim Foxx, the chief of staff for Cook County Board President Toni Preckwinkle who grew up in Cabrini Green and is an advocate of criminal justice reform. And the lesser known is Donna Moore. She has mostly a private practice background representing the gambling industry and more recently, medical marijuana. FYI: Foxx is the only one asking for an independent prosecutor for each police involved shooting. There is an interactive map of complaints made against police officers. City wide, 28,567 complaints were filed against police between 2011 and 2015. Some officers have upwards of 50 complaints against them. Less than 2 percent of complaints have resulted in any discipline. After election day, those squad cars will still be out there, roving up and down Pulaski Rd. I want to know that there will be something more than the blinking red light of the smoke stack off the interstate watching over us. They’re roving all over the city, all over our neighborhoods. We deserve to be protected more than 2 percent of the time. If this city can kick Trump out, I believe we can accomplish another victory, one against Alvarez – and politics as usual. EDIT: Latino politicians are referred to as “Brown” in this article because of the way they are conceived of and marketed by the white supremacist political system that treats their ethnicity and immigrant background as non-white regardless of actual heritage or racial self-identification of candidates. It is this shared resemblance through ethnicity and immigrant background that is counted on by politicians to win Latino votes.